The Original Counts in 1965. 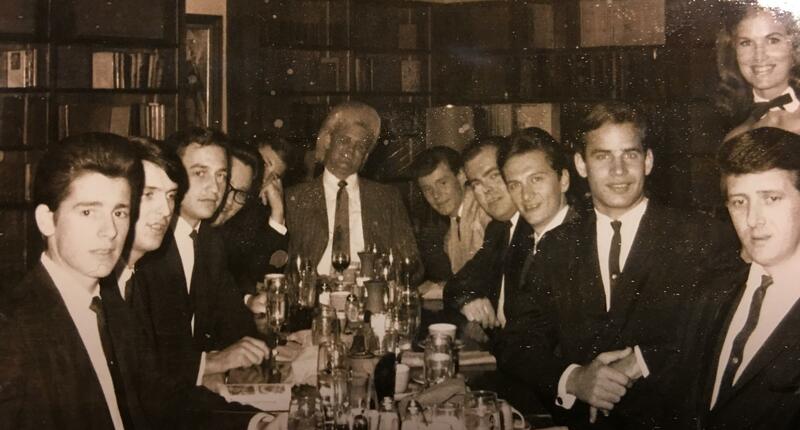 Tom Becker is far right. Becker grew up 3 miles west of Shirley in McLean County, and like many his age then and now, he took piano lessons from an early age. "I feel like it made me a better person." And also like many, he eventually applied those lessons in local rock bands, though not formally until after he graduated. 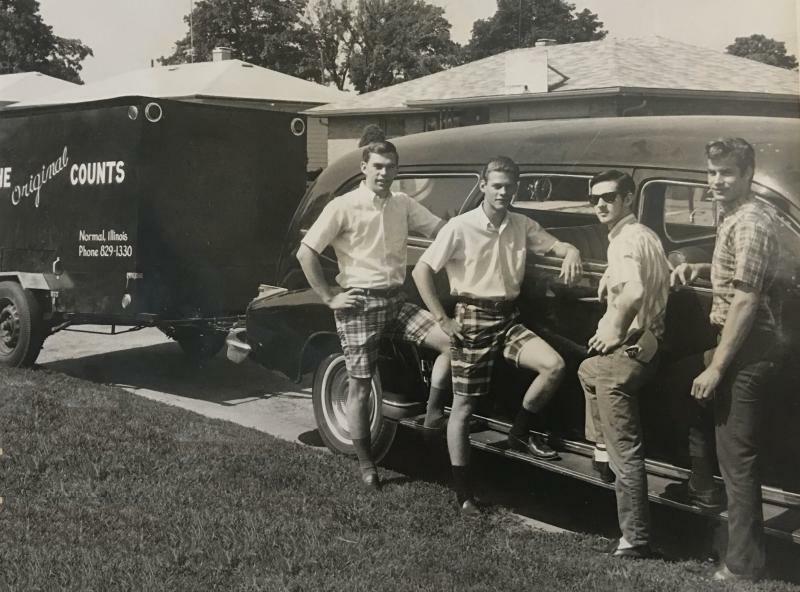 That outfit played venues across the Twin Cities and McLean County including the tenny-bopper oriented Candy Cane on North Main, owned by Jim Tobin of local pizza fame. 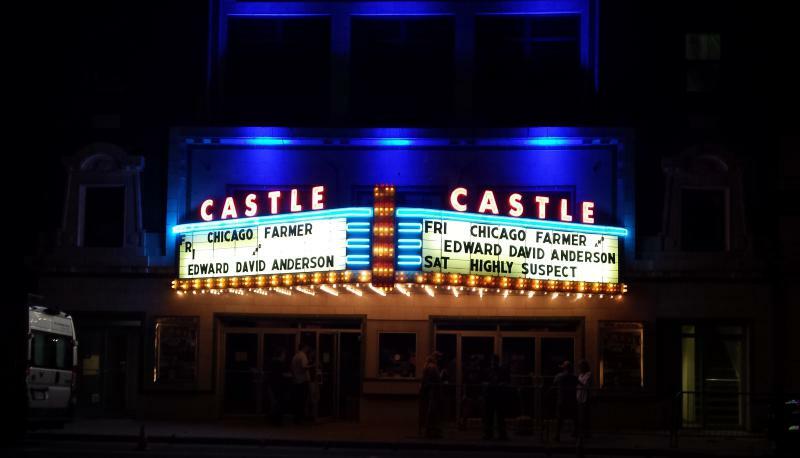 Many in central Illinois know the members from other bands or incarnations over the years. Tim Irvin, later of “Timothy P. & RR 3” fame, was one member, as was Huey Landry, Dave Gaston, and Butch Ekstam. Gaston is the older brother of James Gaston, another longtime central Illinois musician, and now owner of Jazz UpFront Nightclub in downtown Bloomington. It’s where Becker plays occasionally. Speaking from his basement that includes a studio for rehearsing and an occasional recording, Becker played a cut from a Shattertones studio reunion from two years ago. “We’re All Coming Home Someday” is a rollicking gospel number with Becker on organ, one NOT part of the group’s 1960s repertoire. 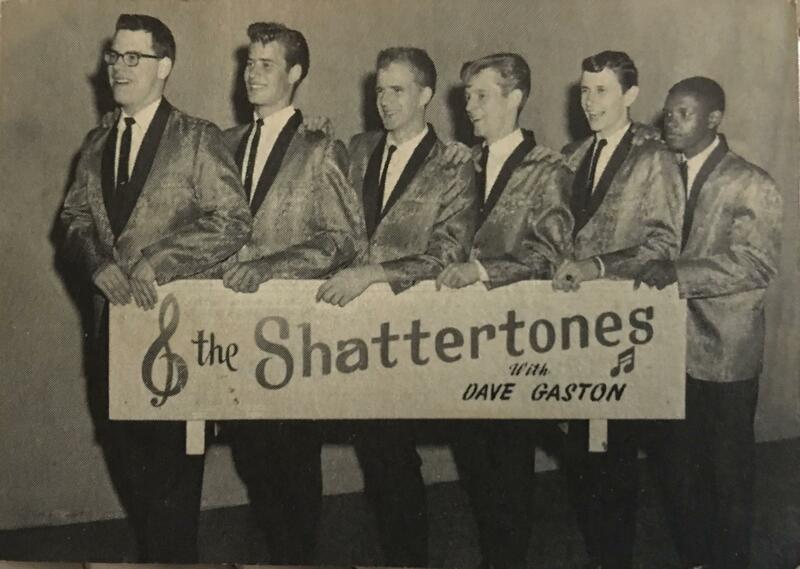 But it’s not unlike the sound that would gob-smack him soon after he left The Shattertones to join Bloomington-based The Counts, who had secured a recording contract at Macon Recording Studios in Macon, Georgia. “So I went with them and Linda Burke from The Casuals in Decatur,” said Becker. His job was to help in the recording studio. During downtimes, floors were swept and food would be fetched; basically whatever work, chore, or task was needed, he did it. In return, he pulled in a whopping 75 cents a day. That’s starvin’ wages even in the 1960s. Gigs and advice from a fellow musician filled the gaps. “Newton Collier showed me a soul food place where I could get a meal every day for 75 cents. He was my saving grace,” said Becker of the man who would then hit the road for 14 years with the legendary soul duo Sam & Dave. Soul. The quiet kid from central Illinois was immersing himself in the music and the culture. It’s something that wasn’t part of his DNA back home. The feeling came in the form of immediate feedback to his playing from the audience. It quickly taught him where to venture, turn, and keep on going. He gave an example of playing a black Elks Club one night. “It was about 44 steps up and we had to carry the organ up those stairs and put it on its side and push it into that huge room. Then we played for three of four hours, and those people let me know if they liked it or not,” said Becker. It was like discovering a new music. It made him a better player. “I feel like it made me a better person,” said Becker. “Just to know what the true meaning and feeling of soul music really was. And what those people were feeling and what they expressed to me … I’ll never forget it,” said Becker. What he learned in that Elks club, in the Macon Recording Studio and on other gigs around Georgia translated well when he hooked up with the hyperkinetic “Wayne Cochran and the CC Riders” for a couple years. “Gosh yeah. Yeah. His band was all about being tight and playing with soul,” said Becker of the all-white group mirroring the music, stage choregraphy and mid-60s R&B of James Brown. Cochran's white pompadour even matched Brown's black one, that is, until the Godfather of Soul went natural. “The feeling in that band, especially when he came on stage … not only did we have to sound tight, we had to know where he was going and what he was thinking. That’s what made his show was the soul and crazy things like throwing chairs through walls or breaking a mirror,” Becker said laughing. Becker is now exclusively a jazz pianist, albeit one with the soulful feeling he found in Georgia. Becker now lives in Bloomington full-time after splitting time between homes in the Twin Cities and Florida since 2008. 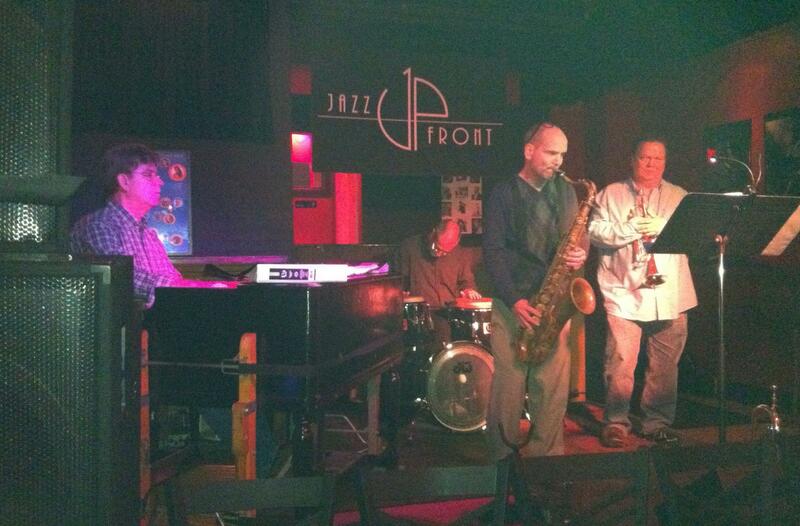 He and an ensemble of friends play Jazz UpFront in downtown Bloomington on Thursday, Jan. 25. Music begins at 7 p.m. Listen to an excerpt of Tom Becker's conversation with GLT's Jon Norton. Listen to the entire interview with Tom Becker. 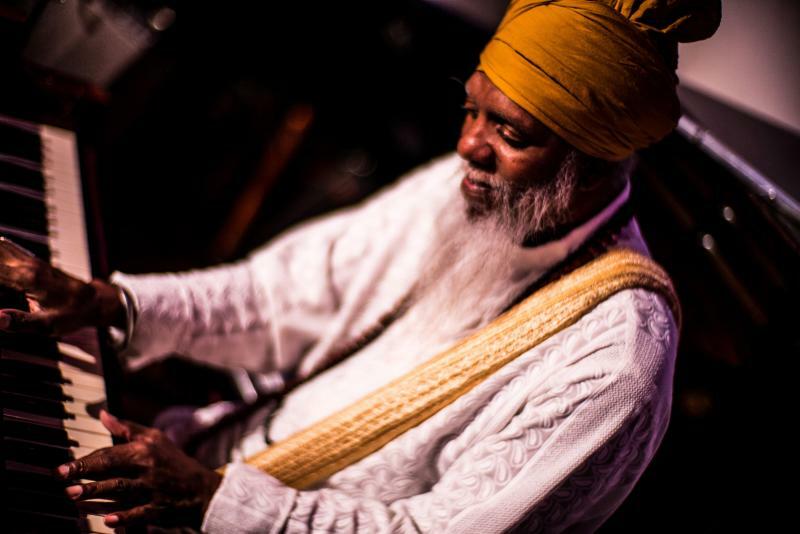 Dr. Lonnie Smith is now in his fifth decade of recording and performing as a solo act, and behind a virtual who's who of jazz legends. Smith makes a stop in Chicago to play the Jazz Showcase this weekend (March 24-27). In a conversation with WGLT's Jon Norton, Dr. Smith says he remembers longing for a chance to make music from an early age.